We rescued a baby Amazon a couple years ago. ” Kelly ” has learned to whistle, say hello, and make kissy noises. Kelly would also love chewing her/his wood hanging toy. Now, Kelly is neither talking or playing with her toy. Eats well, drinks water fine, grooms fine. Ideas? You are extremely helpful no questions at this time just saying thanks for all your Info i love it I have a Panama yellow nape and you have helped me extremely ! Our Yellow-naped Amazon, Ian, is in need of a beak trim. Our Avian vet diagnosed him with liver disease and obesity. 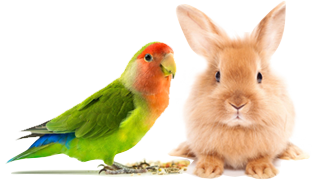 He would not trim his beak..
Parrots can be categorized according to Old World psittacines and New World psittacines. 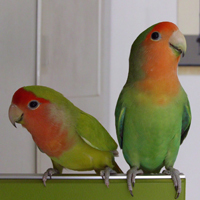 Do you know if your parrots are “Team Old World” or “Team New World”? Amazon Parrot Still Going Strong at 100! I have had a couple of old hens that have taught me a lot about birds. They were both orange-winged Amazon parrots. I am at the end of the generation of veterinarians on the first line where all of our patients were wild-caught. The lilac-crowned Amazon is one of the smaller Amazon species and tends to have a smaller voice compared to the larger, more boisterous yellow-crowned and double yellow-headed Amazons. Lilac crowns can be loyal companions and, like most Amazons, have hearty appetites. There’s nothing shy about a double yellow-headed Amazon parrot. These birds are talkative, boisterous and inclined to burst out in song. Males are known for doing what is best described as a mach strut — tail feathers flared out, sliding across the floor while making shrilling sounds. 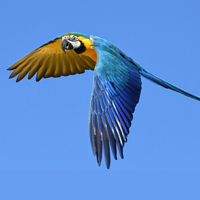 Can you imagine a parrot perched in the White House? It’s probably happened at some point during our country’s history; after all, some of our past presidents had parrot companions during their presidencies. Here is a list of presidents who really did have parrots during their White House days.